Your online guide to Britain’s unique and distinctive towns. Sir Walter Scott once said that Stamford in Lincolnshire was ‘the finest sight on the road between Edinburgh and London’. Stamford has a lot to be proud of. It has 600 listed buildings, some unspoilt Georgian streets and lots of mellow limestone. In 2017 the town will mark the 50th year of its status as Britain’s first urban Conservation Area. This helps to protect what many regard as the most perfectly preserved Georgian stone town in the country. Built on Jurassic rock, this gem of a market town grew rich on the wool trade. In the early middle ages Stamford was an important cloth making town. However, today its listed buildings range from medieval monasteries and medieval parish churches to fine C18th town houses. During the C18th, Stamford was a popular coach stop on the Great North Road from England to Scotland. This is history that you can grasp at The George Hotel one of England’s greatest coaching inns. Today, visitors see a door marked London and one marked York. These panelled rooms were the waiting rooms for passengers as the coaches changed horses in the hotel yard. At the height of its appeal around 40 coaches passed through Stamford every day. The town’s Arts Centre, built in 1768, is one of the oldest provincial theatres in England. Browne’s Hospital almshouses, built in 1475 around a cloister garden, are some of the best medieval almshouses in England. It has flawless stained glass and original fittings, and is still home to 13 residents. Browne’s will be open to the public during the Georgian Festival. As the country’s first entire town to be protected, Stamford offers a glimpse of Old England which makes it a period drama location hot spot for both TV and filmmakers. Today, Stamford attracts visitors, not only for its buildings and history, but also its thriving independent shops, especially antiques, and quality local food and drink. 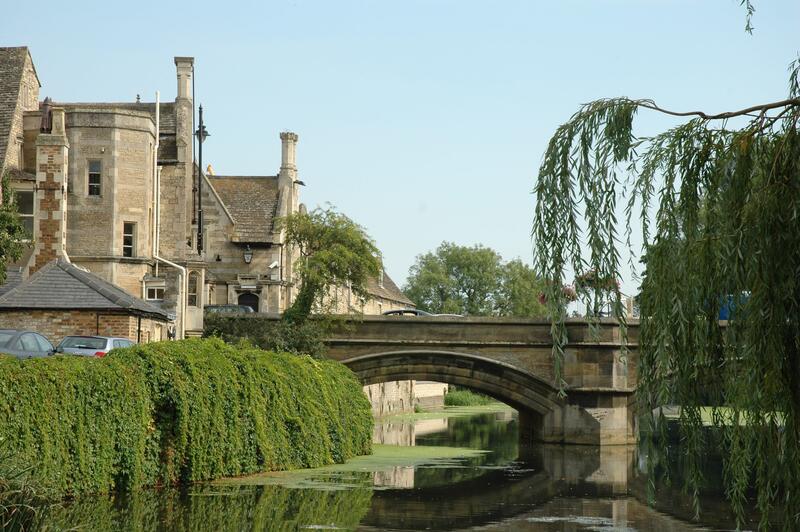 The River Welland winds its way through the town and the lovely Stamford Meadows is a popular spot for riverside walks and picnics. The summer and autumn programme will culminate in the town’s biennial Stamford Georgian Festival in September, organised by South Kesteven District Council. For more information look here. For more local events please visit here And, for those thinking of staying, look here. As a travel and tourism publisher, we’ve been writing about lots of the best of Britain’s towns, and the individual neighbourhoods within bigger cities and communities (including London) for quite a few years. So we decided to share what we know, and to start this site for others to contribute later knowledge and suggestions too!